Edith went on her first solo exploration trip at 9 years old. 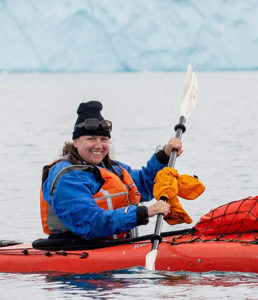 She has worked in the International travel industry for over a decade including working for a luxury train company, volunteering in the jungles of Nicaragua and currently leading the North American team for Aurora Expeditions, a true polar expedition company for over 25 years. Wim and Brendon are professional wildlife photographers based in South Africa. 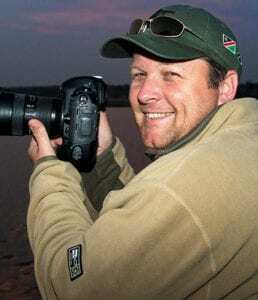 Wim founded Tusk Photo over a decade ago, a company that specializes in small group specialist photographic safaris to destinations both in Africa and abroad. Brendon has an extensive safari guiding background stemming from 18 years in the safari industry. Both Wim and Brendon are internationally acclaimed wildlife photographers with an obsessive passion for wildlife, nature and photography. Guests that join the Tusk Photo team on photo safaris will not only gain knowledge and new-found skills through the expert tuition offered by the Tusk tour leaders, but also leave with a better understanding and a renewed respect of wildlife and nature. 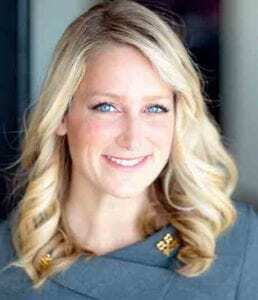 Sarah Dandashy is recognized as one of the leading concierges in the world. Award-winning, she was named “Best Young Concierge” by Les Clefs d’Or International, making her the Miss Universe equivalent of the concierge profession. Along with hotel brands, from The Peninsula, Four Seasons, and Fairmont Hotels, she also works with big brands within the travel realm, Trip Advisor, Airbnb, and American Airlines to name a few. 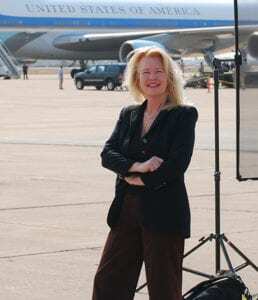 She is considered a verified source of travel information as both a local expert in Los Angeles and a through her concierge connections around the world. People seek her out for her travel tips, advice, and knowledge of trends from the front lines of travel! I have been working with MSC Cruises for 10 + years as Business Development, Sales Support, Customer Service. I am currently manage travel agency sales of Texas, California, Hawaii, Alaska, Guam. I accept extensive travel for the company while maintaining my position in the Fort Lauderdale office in Business Development/Sales Support. I have exceeded bonus goals and annual reviews and top in sales in my sales department. My previous travel industry experience has been in the travel agency ownership for 25+ years. I have always kept myself involved in the community organizations in the Greater Fort Lauderdale area. My passion has always been Hospitality and Tourism and Travel management operations. Cynthia Dial is a journalist and admitted addict—a travel addict—because for her travel is like breathing, she can’t live without it. As a travel writer whose office is the world, she’s visited all seven continents where she’s attempted Argentina’s tango, canoed in the Amazon and sat amongst penguins in Antarctica – all for a good story. 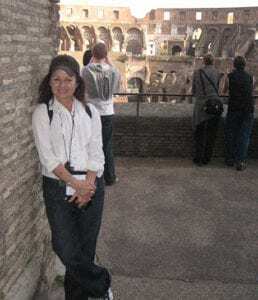 She’s written for such publications as TIME magazine, Hemispheres, Costco Connection, Shape, Hemispheres, Destination Weddings & Honeymoons, Mabuhay (Philippine Airline’s in-flight magazine), Corporate & Incentive Travel magazine and the Toronto Star (Canada’s largest daily newspaper), for whom she wrote the column, Shopping Trips. Online outlets include JustLuxe.com (2.1 million uniques/month), TraveLife.com and TravelSquire.com (each has 100,000 uniques/month), as well as Nine Digital’s travel portal (Channel 9 TV, Sydney, Australia). 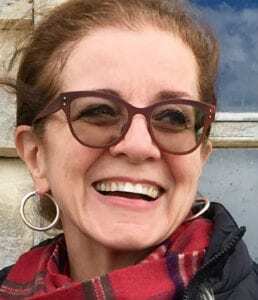 She also authored the book, Get Your Travel Writing Published (McGraw-Hill is the US/Canada distributor of the book’s three editions), co-hosted the “Traveling Girls” on World Talk Radio and appears on television as a travel specialist. She admits that every time she steps onto a plane’s jetway, boards a train or walks the promenade deck of a cruise ship to go to work, she congratulates herself on her career choice. In 2016, Kim Dickey and her husband, Chris, embarked on their first luxury canal barge cruise and immediately fell in love with the experience. It may have been the wine talking, but 6 months later they had joined with 3 experienced operating partners to become the proud owners of a 100-year old, 100ft barge in France. They feel so fortunate to be able to share the immersive experience of floating along the canals and through the locks aboard a true piece of French history. She loves to travel and currently lives in Dallas, TX with her husband and their two children. From a former economics professor, experienced traveler (100 countries & 46 U.S. states), TripAdvisor Top 25 Travel Blogger with over 203,000 social media followers, and author of the 5-star rated travel book, Plan Your Escape®, Wayne Dunlap gives first-hand insights of incredible easy-to-use strategies to help you travel for less than half the cost for all levels of travel from luxury to budget. You will learn where the bargains are, the best time to travel, how to make money while you travel, actual bargain trip ideas all over the world you could book today, and secrets to find amazing bargains on airfare, hotels, tours, cruises, and more. Learn how to save $1,000’s on travel – You can’t afford to miss this presentation! 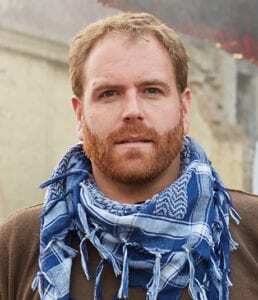 Josh Gates is an avid explorer whose unique brand of humor and deep-rooted passion for adventure propels him to the farthest corners of the world. Discovery Channel’s hit-series Expedition Unknown chronicles Gates as he sets out on a global quest to find the truth behind iconic legends and thrilling archaeological mysteries. This season is Josh’s most ambitious yet, as he undertakes a search for a long-lost ghost ship in the Great Lakes, uncovers new revelations about the birth of Jesus, and searches for a sunken civilization rumored to be the Atlantis of the Andes. From a fabled pirate treasure in the jungles of Panama to the truth behind the controversial legend of the crystal skull, Josh is spinning the globe and heading off-the-map in search of answers. In the four-part global event Expedition Unknown: Search for the Afterlife, Gates tackles mankind’s ultimate mystery as he investigates ancient rituals, paranormal claims, and cutting-edge scientific breakthroughs on the nature of death and consciousness. Josh will also be helming a two-part special in Israel and Jordan working alongside archaeologists attempting to decipher the Dead Sea Scrolls and to uncover new fragments in remote desert caves. 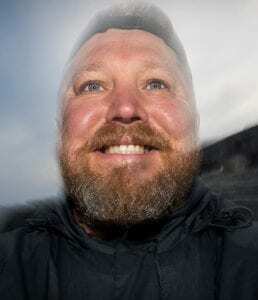 An avid scuba diver and photographer, Gates has participated in sub-sea archaeological excavations in the Mediterranean, and his wanderlust has taken him to over 100 counties – from sweltering African deserts to the icy shores of Antarctica. In addition, he has scaled “the roof of Africa” on Mt. Kilimanjaro and climbed Aconcagua, the tallest mountain in the Americas. A mysterious “Yeti” footprint recovered by Josh in the Himalayas is now on display at the “Expedition Everest” attraction at Walt Disney’s Animal Kingdom in Orlando, Florida. In 2016, Gates won ‘Best Host’ in the CableFax Program Awards for Expedition Unknown, and the series also took home the ‘Best Educational/Instructional Show’ award and in 2018, a Cynopsis TV Award for ‘Best Reality Series – Travel.’ He holds a degree from Tufts University in Archaeology and is a member of The Explorers Club – a prestigious organization dedicated to the advancement of exploration and field research. Josh also serves as a trustee on the governing board of the Archaeological Institute of America. Josh is also the host of Legendary Locations on Travel Channel where he shares the epic tales and secrets of the most storied places on earth, showcasing the ancient legends and folklore that made them famous. Travel Channel also airs episodes of Gates’ popular series, Josh Gates’ Destination Truth. He has appeared on the TODAY Show, CNN and a variety of other national television and radio programs. Gates’ adventures are chronicled in his bestselling book, Destination Truth: Memoirs of a Monster Hunter (Simon & Schuster, 2011). Gates currently resides with his wife and children in Los Angeles, California and on airport floors around the world. Theresa L. Goodrich is an Emmy-winning author and content creator with a penchant for storytelling and a keen eye. 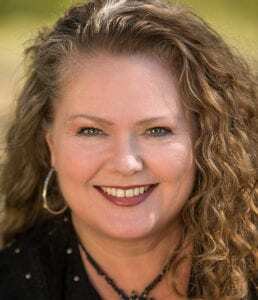 She’s the founder and publisher of The Local Tourist, one of the top 30 travel blogs in the world and is the author of the Two Lane Gems book series. An inveterate road trip enthusiast, she’s traveled thousands of miles to tell the stories of America’s hidden treasures. Johnny Jet has traveled over 100,000 miles a year since starting his newsletter in 1995 and has visited close to 100 countries. On his website, he writes about how to maximize your credit card points, how to find travel deals, cheap flights, and how to benefit from insightful travel tips. He has hosted a television special on The Travel Channel and was named one of Forbes’ Top 10 Travel Influencers. 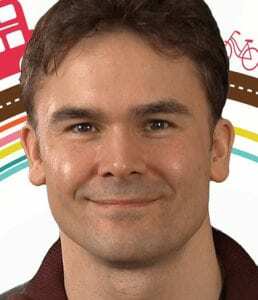 He writes for numerous publications including Forbes, Inc and Alaska Airlines in-flight magazine and appears every Saturday on Leo Laporte’s The Tech Guy Show talking about travel and technology. He travels the world with his wife Natalie DiScala and their son Jack. Be sure to sign up for his free newsletter. 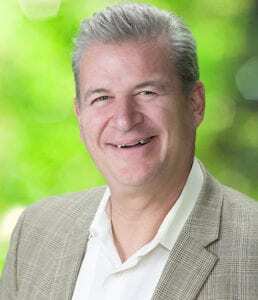 David Kasser – David is a lifelong Alaskan, having spent his youth fishing in the coastal town of Seward and hiking on the hillside of Anchorage. There is no one who knows more about Anchorage and Alaska than David. He loves to give travelers the inside track on what to see and do according to their specific interests. 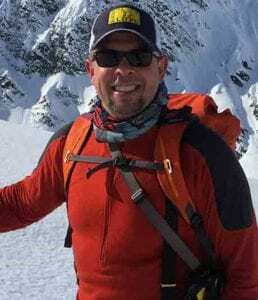 After 30 plus years in Alaska tourism, David has a wealth of product knowledge you are sure to find valuable, delivered in a fun fast paced format. 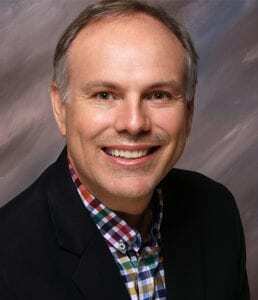 Scott Koepf is Vice President of Strategic Development with Cruise Planners supporting the growth of the Cruise Planners network by leading the Training and Events teams and exploring new opportunities for strategic development. Once you meet Scott, you will see his natural motivational training style that inspires and impacts sales. Scott joined Cruise Planners with more than 30 years of experience in the travel industry and he started as a travel franchise owner, eventually becoming president of that organization, so he knows what it takes to be a successful franchisee. He is a travel agent advocate and loves helping each Cruise Planners franchisee achieve their goals. His commitment to travel agents runs deep as Scott is a well-known industry icon who serves on many supplier and industry advisory boards and is a highly regarded motivational speaker. Scott is a globetrotter with a passion for entertainment…and entertaining. He’s a trained opera singer who still performs in musical theatre productions, so it’s no wonder they call him the “Singing Salesman.” However, to balance his theatrical bent, Scott was a football player and writes a regular article in an industry publication where he is known as the “Sales Coach.” His extensive knowledge of Sales and travel retail operations are now focused on helping each and every Cruise Planners Franchise reaching its full potential. Sherryl Maxwell has been a professional in the Travel Industry for over Thirty years. Sherryl recently earned her B.S. degree for Business and Marketing. 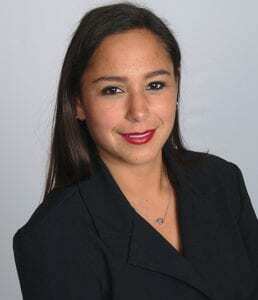 At the start of her career, she worked managing offices for both government and large corporate travel agencies. Sherryl has experienced many changes in the industry since the early eighties rising to the challenge. She has a passion for travel and has enjoyed circling the globe. Her current focus in addition to managing and growing her agency, is specializing in Luxury Leisure Groups-and Honeymoons. Sherryl has owned and operated Travel Leaders/ Rancho Travel in Del Mar for seven years, helping manage a team of over thirty agents. She also hosts a Meetup Group called Travel Divas on Meetup.com with over 600 members. Jorge Meraz is the host of the travel show Crossing South, which airs nationally on CreateTV. Jorge also directed the Emmy award winning documentary Visa Dream which has enjoyed almost a decade of national syndication on PBS stations through American Public Television. 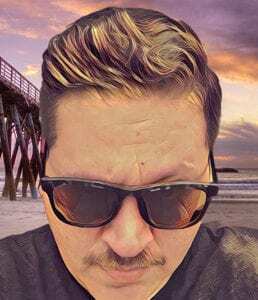 Before that, Jorge has worked as a Creative Director and Creative Copywriter for different advertising agencies as well as being a sports anchor for TV Azteca. He currently develops TV shows under the Centurion5 Productions banner and is a published songwriter. Alexandra Shapiro joined the Celebrity Cruises family in December 2013 as an event specialist in Philadelphia where she was responsible for managing all aspects of consumer and travel agent events. In 2016 she was promoted to her current role as Market Sales Manager and is responsible for the development and execution of the Celebrity Cruises’ sales strategy in San Diego, Las Vegas, & Hawaii. Alex graduated from Temple University in 2011 with a bachelor’s degree in Strategic and Organizational Communications and is a former Division 1 lacrosse player. 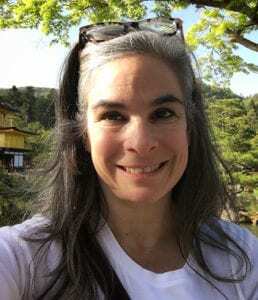 With a lifelong passion for travel Gail Strickland is an Emmy award winning News Broadcaster for the “Traveling Girls” an affiliate of Kahala Travel. Gail’s segments have aired on Cox Communications, CNN and NBC including a documentary on Cuba. 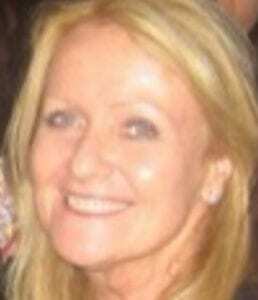 Gail has over twenty-five years’ experience in the travel industry and started her travel career working on-board the Pacific Princess as a hostess. Yes, she was Julie on the popular TV Show the “Love Boat”. Gail has a hospitality management degree and serves on several travel industry boards including GBTA, CTO, PATA and MPI. Gail is well suited for her current role as San Diego PATA’s Press Officer. Vincent Trotter is the National Account Manager for Royal Caribbean International. During his seven years with Royal Caribbean he has been a President’s Challenge winner three times, earned the greatest growth in group business once and was named Rookie of the Year. 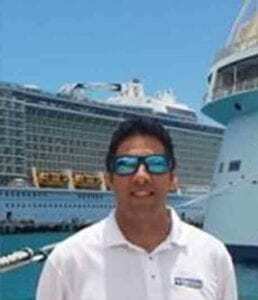 Prior to joining Royal Caribbean International, he was a business development manager for Collette Vacations for five years. Trotter has been to over 30 countries throughout the world with his latest being Cuba. He has a master degree in Sports Management from Long Beach State, where he also played Division 1 Water Polo. Trotter resides in San Marcos, CA with his wife Summer and their four children, Jasper, Caden, Branson and Savannah. Ralph Velasco is Founder and CEO (Chief Experience Officer) of PhotoEnrichment Adventures (PEA), as well as a travel photography instructor and international guide. 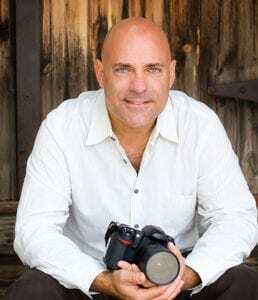 For more than 10 years he’s organized and led cultural tours, with a focus on photography, in destinations around the world, including to India, Cambodia, Vietnam, the Baltics, Spain, Romania, Morocco, Iceland, Cuba, the Adriatic, Central Europe, Tuscany, Mexico and others. Ralph is also the creator of the Tour Organizer Training free webinar and online course series where he teaches everyday people to get paid to travel. In this step-by-step course, he shows participants how to organize and lead their own special interest tours, whether around the world, or around the corner.